Buttons on circuits and in world cables will be cool. Also please add ability to name buttons and levers on circuits(how it was in project blue's control panel). It will be cool, if you'll make blueprint library(like buildcraft's electronic library) and blueprint repository on your website. I'm going to assume you didn't read the bolded text. Funny story, I love using this mod, but every time I want to do anything I have to restart my game. I play with Optifine, and that with this mod causes crashes, but if I don't have Optifine my SP world goes from 50+ fps to about 23 fps. 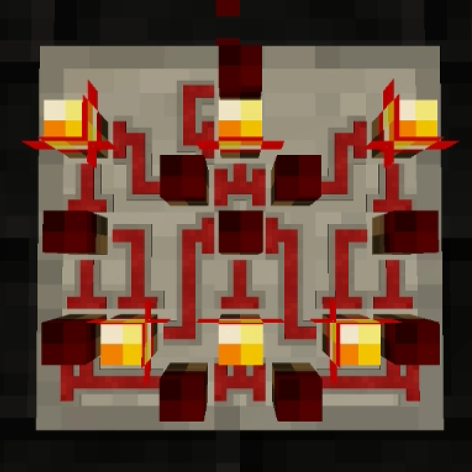 I always have to decide when I will be working with circuits and when I will not, since it always takes constant removing and adding of Optifine. :P Still a great mod and I don't blame you for not trying to cater to whatever changes optifine makes to rendering. The crash when just working with circuits is fixable but I'm actually not sure what configs/other mods fix it. I know as it works fine for me ATM but didn't last time I tried to use SSM and Optifine together. There is a crash with hiding circuits made with blueprints that is not fixable other than removing optifine AND disabling the forge 'alwaysSetupTerrainOffThread' option. I wish there was a wiki or something.. I am trying to figure out how to use the blueprints..
it is the best minecraft mod!!! If only the tiles were 8x8 for us folks who have OCD and want to build bytes (8bits) applications. do you have an estimated time on when the mod will be out for 1.11 & 1.11.2? I have been waiting patiently and its been a long wait. I can't find an other mod like this one so if you have a recommendation or if you have combined this one with another mod please inform me. did you use the Exact Link you Pasted? or the Imagine Link? P.s. 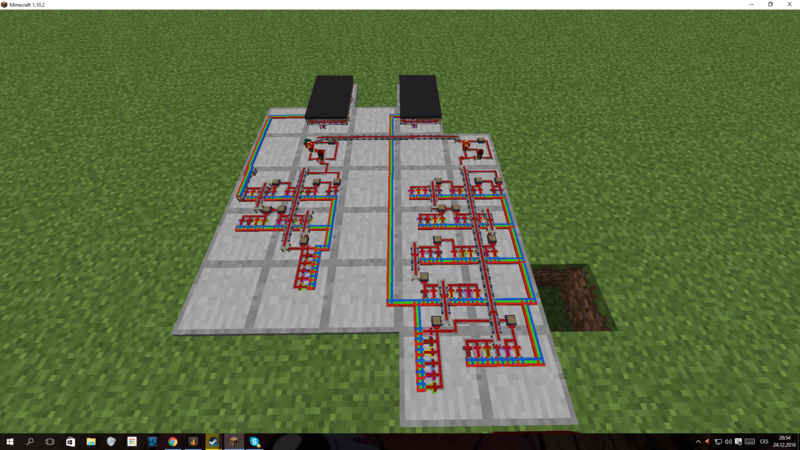 : i really like the Mod too, it is like a Mixure of the project Red ICs and The Little Blocks Mod. idon't know what it could be Really useful tho. does this not work on private servers??? or is there something I have to add to my server to make it work??? I don't see why it wouldn't work? Do you have MCMultiPart installed? I can only try to guess what's going on if you don't give me the crashlog you get when you start the game. We are running a private server for "All the Mods" modpack. It runs fine on that.